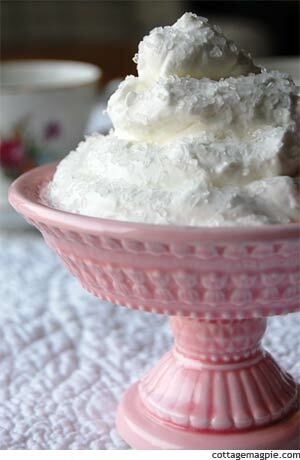 Whipped cream is an essential element in many desserts, and one of the easiest. 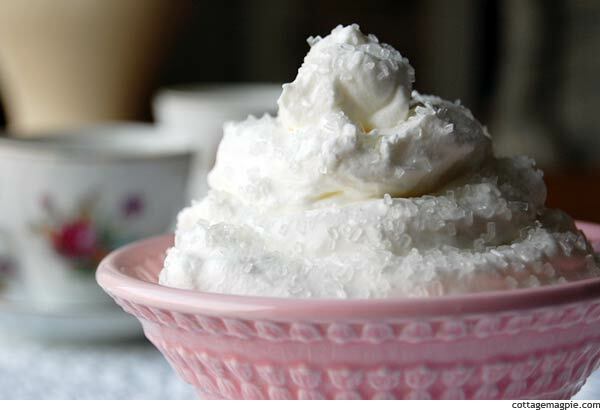 Making whipped cream at home is a great choice for many reasons: it's tastier, cheaper and has no preservatives, corn syrup or other chemicals, and best of all, is done in five minutes. For a sweetener, you can use sugar, or you could experiment with maple syrup, honey or anything else that sounds good to you. You may find you prefer more or less sweetener -- feel free to adjust to your taste. Make sure to use a new clean spoon each time you check the flavor, though, and do get your taste set before you whip. For basic whipped cream I don't use a flavoring at all because I like the flavor of the cream itself. But if you prefer you could add a bit of vanilla. Or if you want to get wild, you could try chocolate, coffee, almond extract, peppermint... anything that sounds appealing. Put it all in a clean mixing bowl and whip until you're done. It really is important that the bowl is clean, or it could affect your results. Some people prefer to use a chilled bowl, but I usually haven't thought that far ahead and my cream whips up just fine. If you don't have a stand mixer, a hand-held mixer will do, or if you don't have any mixer, you can whip the cream by hand using a wire whisk. If your recipe asks for cream whipped to "soft peaks," your whipped cream is done when it leaves soft, rounded mounds when the whisk is pulled out. If your recipe doesn't specify a stiffness, or if you are making the whipped cream to top pie or another dessert, you will want stiff whipped cream. 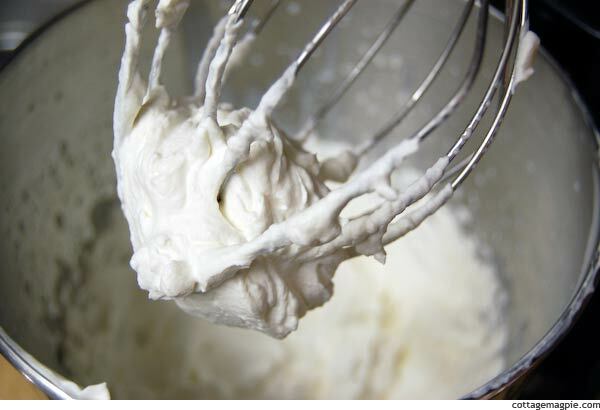 It should be stiff enough so that the whisk leaves a network of canyons in the cream as it moves through. Do watch the cream closely at this stage, however; if it whips too long, you will end up with butter. Whipped cream tends to breaks down, or "separate," over time, so plan to use it within a few days. Storing in the refrigerator in a covered glass container is best. Plastic will work, but the cream may separate sooner. 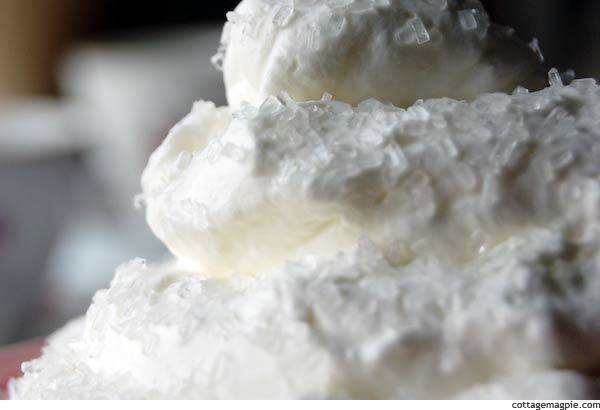 Another tip is to make sure never to put fingers or used spoons back into the whipped cream being stored in the fridge. It will make it separate all that much faster. Use a new clean spoon each time you taste. Wasn't that easy? Now you have a good supply of cream for topping pie, pudding or even a steaming mug of hot chocolate. You could also make my No-Bake Cheesecake which uses the real thing instead of that frozen stuff. Why use that stuff when you can have this? Or you could just eat it plain. I don't know anyone who does that.